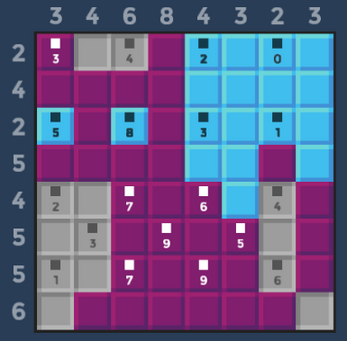 A mix of nonograms, minesweeper and other logic puzzles. Find the hidden picture! Some pictures will color in when you win - in multi color.